High Court has maintained the lower court's verdict sentencing one involved in the death of Hussain Ibrahim Manik (Huseynubey) of Haa Alif Hoarafushi to life in prison. Criminal Court in 2016 issued a verdict sentencing three people involved in Hussain's death to life imprisonment. Hussain's nephew Mohamed Latheef, Ahmed Ibrahim, Nu'uman Abdulla, all from Hoarafushi island were convicted on terrorism charges. The State had charged the three with terrorism for kidnapping Hussain Ibrahim Manik and killing him on the night of September 27, 2010 by suffocating him by force-feeding him sand. Although murder charges against the three involved could not be proven, Criminal Court convicted them on terrorism charges. The life imprisonment sentence was appealed by all three at the High Court. The hearing held on Sunday concluded Ibrahim Mohamed's trial, maintaining Criminal Court' life imprisonment recentness. 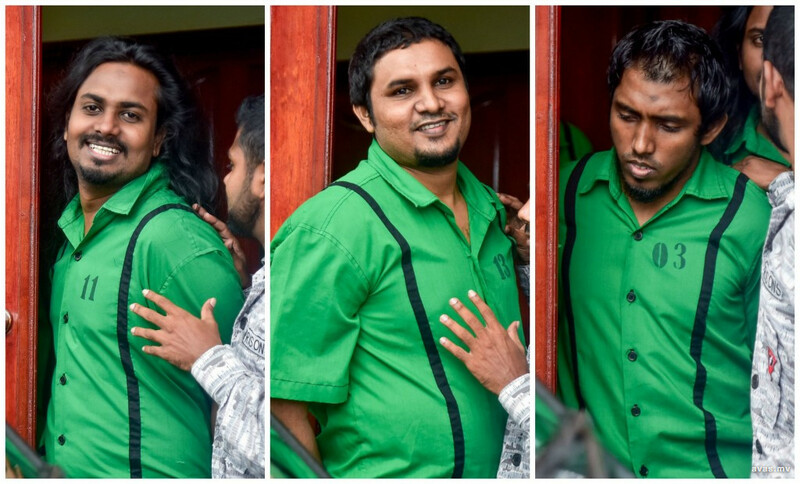 In their verdict, the High Court said there is no basis to dismiss Criminal Court's verdict, as Ahmed Mohamed had previously confessed to committing the crime, and all evidences presented by the state confirm his involvement to a degree that there is no question about it. Five people were initially suspected by the police to have been linked to the case. However, two out of the five were not charged due to lack of evidence against them.